Longtime bachelor Jon Ossoff proposed to his girlfriend of 12 years on Friday night. The 30-year-old Georgia Democrat, who is running to replace Republican Tom Price in the state's sixth congressional district, has been dating his bride-to-be, Alisha Kramer, since they were in college at Georgetown University. The Ossoff campaign released a statement confirming the engagement, and supporters "showered [Kramer] with congratulatory wishes at a campaign stop on Saturday morning," the Atlanta Journal-Constitution reported. Ossoff's Republican opponent, former Georgia Secretary of State Karen Handel, congratulated the couple in a statement. "Steve [Handel] and I send our congratulations to the future Mr. and Mrs. Ossoff," Handel said. "We have learned a lot over nearly 25 years of marriage." In recent months, Ossoff's seeming unwillingness to put a ring on it became a subject of public fascination. During an interview on CNN, anchor Alisyn Camerota asked the candidate bluntly, "So when are you going to marry her?" Ossoff deflected the personal question, saying he didn't "want to give anything away." Talk radio host Rush Limbaugh expressed bewilderment at the 12-year dating relationship. "He's been dating her since he was 18," Limbaugh said during a broadcast on April 18, the day Ossoff and a crowded field of competitors vied for the top two slots in a special election. "I don't have a problem with it. I'm just pointing out—never mind. If I have to explain it, if it's not self-explanatory, I'm not gonna waste time on it." Ossoff is unable to vote for himself in the June 20 runoff election because he lives outside the sixth district with his intended, who is a third-year medical student at Emory University. Ossoff was raised in the sixth district and has vowed to move back to the district if he is elected. 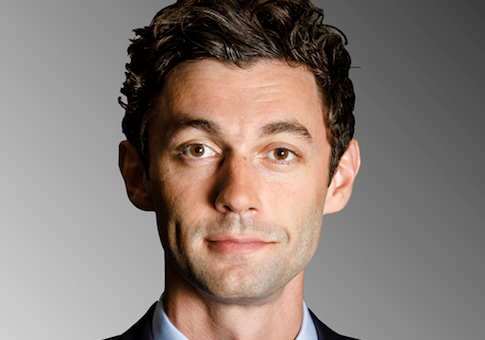 The Free Beacon previously reported that Ossoff has never voted in a runoff election; he did not vote in the 2012 election because he was studying abroad in Europe, according to his campaign. News of Ossoff's engagement came the same day a poll by WSB-TV found him trailing Handel by over two points, 49-46.5.